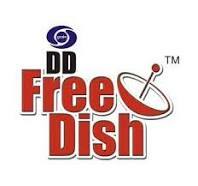 The first e-Auction for MPEG 4 slots (39th e-auction of DD Free Dish), as per the new policy guidelines for DD Free Dish, was successfully conducted from 27th to 29th March, 2019. There was overwhelming response to the 39th e-auction, as almost four times applications were received against the vacant slots of MPEG 4. There was no genre based restrictions or reservations for participating in the 39th e-auction. Subsequently, 15 channels were successfully allocated slots. Subject to completion of all formalities, 15 channels ,who have successfully bid for slots, will come on DD Free Dish platform w.e.f. 15th April, 2019.